While hiking in Whittier, about 10 miles away from Downey, I spotted these beautiful purple thistles flowering along the trail. I had to take a picture, because they reminded me of a story I had just read while doing some ancestry research. Did you know that in addition to being found all over the southern California foothills, the thistle is also the national emblem of Scotland? According to legend, an invading Norse enemy stepped on one of these prickly flowers while attempting to sneak up on a Scottish encampment at night. He yelled in pain and alerted the Scottish army which was a turning point in the battle for the Scots. 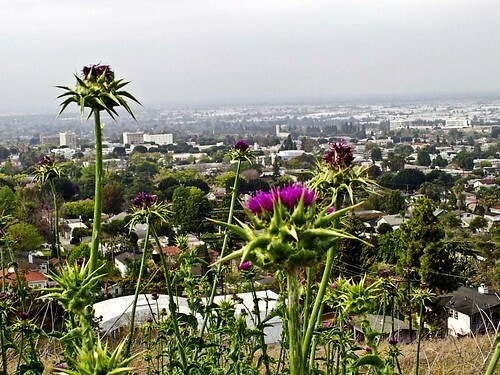 So, was the thistle native to California, or was it brought here by one of my ancestors? It kinda makes you wonder.